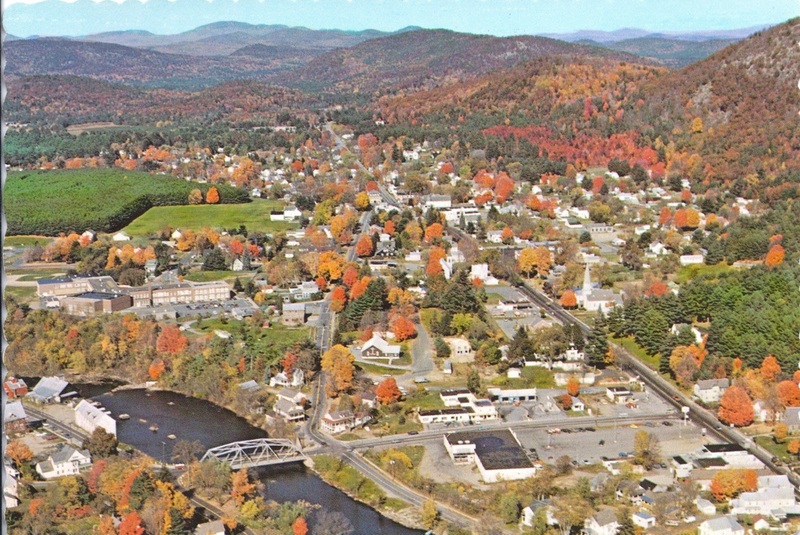 First known as "the Bridge," perhaps due to the crossing of the Schroon constructed early on to access the central Adirondacks, the hamlet that would become Warrensburgh developed thanks to two factors - vast tracts of accessible softwood forests and a 70-foot drop in the Schroon River in its last three miles before entering the Hudson River. This provided ample opportunity for water power, necessary for the production of lumber and the tanning of leather. The economic opportunities afforded by these two factors - extensive forests and water power - attracted men and families in the more settled, and civilized, lower Hudson Valley and New England after the conclusion of the "War for Independence." William Bond, it appears, was the first settler. He established residency in 1786 on Lot No. 1 near what became known as Bond's Pond, currently Echo Lake. Following William Bond came Joseph Hutchinson, Josiah Woodward, Gideon and Stokes Potter and Joseph Hatch in 1787. Aaron Varnum came in 1788. Dr. John McLaren practiced medicine in the hamlet prior to 1790, and married Susan Thurman, great-niece of John Thurman, the original patentee of most of the lands that became known as Thurman, including Warrensburgh and Chestertown. A piece of land on the east side of the Hudson River was patented by the State of New York and sub­divided for the purpose of paying off Revolutionary War soldiers. It was known as the Warrensburgh Tract. Though farming was a necessary means of survival in the early days, the farms were comparatively small and industries related to the natural resources developed. In addition to four saw mills, two grist mills were constructed, a tannery was put into operation and the production of potash, in great demand for agriculture and industrial purposes, became quite extensive. 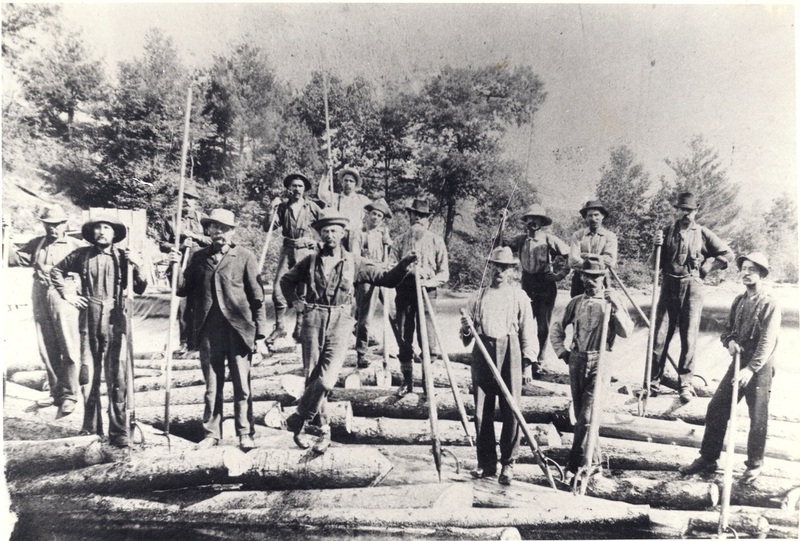 The original sawmill was built in 1818 by Dudley Farlin. In 1885 this mill was sawing 3,000,000 feet of lumber a year on a gang mill containing 70 saws and four gates, all water powered. Public hospitality was an early consideration, with the first tavern and hotel built in 1789 by James Pitt, later owned by Jasper Duell. Accommodations were provided for forty guests. James Warren arrived in 1804 with his wife, Melinda. They became proprietors of Pitt's tavern, renaming it Warren House. Warren also managed a store and built a potash factory. In 1825 Edmund Richards completed another hotel, the Adirondack House, begun by Alton Nelson and John McLaren. This could also accommodate about forty people. Apparently, from its earliest days, numerous people, new settlers, merchants and adventurers were visiting or passing through the town. By the end of the nineteenth century no fewer than six hotels were operating. Prominent among the early residents was Pelatiah Richards, who moved to Warrensburg in 1802 and became well known as a leading merchant. He was town clerk in 1825, supervisor in 1830 and again in 1838. The Richards Library was a gift to the townspeople in 1911 by his descendents. Kitchel Bishop, who came in 1804, was a founding member of the Presbyterian Church in that year. (The first church was Methodist, established in 1796.) Bishop became the town's first postmaster in 1806. In 1810 he built the town's first tannery. Judge Bishop served in the State Legislature for 13 years, including the State Senate from 1812 to 1815. Prior to the American Revolution the entire region was called Charlotte County. Following independence the name was changed to Washington County, which included all of what is today Warren County. Towns were formed. In 1788 the Town of Queensbury encompassed all of present day Warren County. In 1792 the northern part of Queensbury was split off as Thurman and Lake Luzerne. Little by little, the Town of Thurman gave up territory - for Bolton (1799), Chestertown (1799), Johnsburg (1805), Rochester (later Hague - 1807), and Caldwell (later Lake George - 1810). The first town meeting was held on April 4, 1813 at the house of Mrs. Melinda Warren. (Mrs. Warren continued to operate the Warren House after the death of her husband, James Warren, who drowned in the Hudson River in 1811, as he was returning from an election. History relates that his ten-year-old son, Nelson, was in the boat with his father and his hair turned white as a result of the terrifying experience.) It was not until March of 1813 that the towns of Queensbury, Lake Luzerne and all of the towns that once comprised Thurman were split off from Washington County to become Warren County. The first supervisor was James L. Thurman. In addition to the usual offices of town clerk, assessors and highway commissioners, constable and collector, town government included "overseers of the poor", "fence viewers", a "poundmaster" and 22 "pathmasters." Predatory animals were a problem in the town. 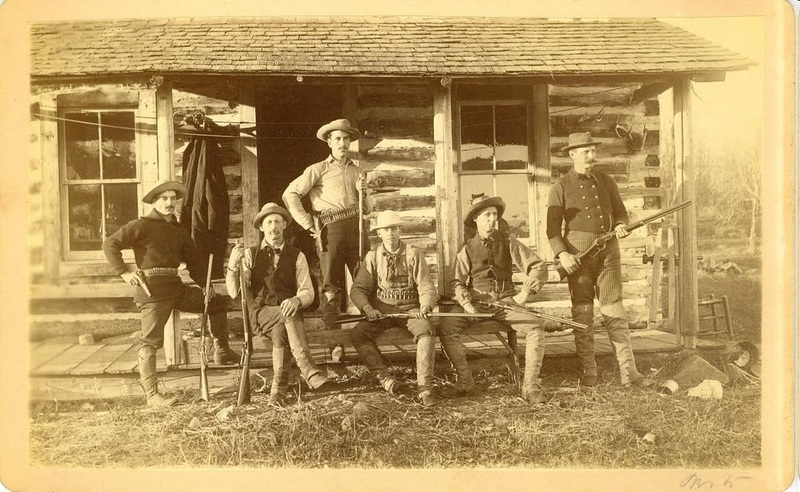 Bounties of varying amounts were offered for the killing of wolves, panthers, wildcats and lynxes. Public welfare was a concern. At the first town meeting, $50 was appropriated for the support of the less fortunate. In the following year the amount was raised to $75 and by 1817 the sum had reached $200. Though roads to other communities in the county did exist in 1800, it was not until 1849 that a plank road was constructed between Warrensburgh and Caldwell (now Lake George). The next year a plank road was built north to Chestertown. Businessmen Pelatiah Richards, Joseph Woodward, B.P. Burhans and Thomas S. Gray were chiefly responsible for the construction of these roads, use of which required payment of a toll. Albert Cilly Emerson came to Warrensburgh at age 8 and grew to be a major force in the development of Warrensburgh's industry. From store clerk for his father he went on to success in the lumber industry (with his father-in-law, Josiah Woodward) and in tanning at several locations in the Adirondacks. A. C. Emerson and his son, Louis, opened The Emerson Bank in 1884. Sons Louis and James developed the Schroon River Pulp and Paper Company and the Warrensburgh Woolen Company. They were instrumental in bringing shirt manufacturing to Warrensburg in the late nineteenth century. All three companies would employ several thousand people by the turn of the 20th century. Both Emerson sons would also enter politics:- Louis serving first as NY State Senator, then as a U. S. Congressman for two terms, 1901-1906. James would enter the NYS Senate in 1906 and serve for 12 years. James was instrumental in getting funding for the New York State "trunk" highway system. With the advent of the automobile, this was necessary to replace the piece-meal, locally maintained plank roads, often tolled, prevalent throughout the state. During the same period a trolley line was extended from Lake George and points south to Warrensburg. Workers could easily travel to factory jobs from the more populous cities to the south. A railroad spur was extended from the main line at Thurman Station, following the Schroon River to Warrensburg, facilitating the importation of raw materials and the shipping out of manufactured goods. James Emerson's son, Albert Louis, as president of the Emerson National Bank, would see the decline of all the family-initiated businesses as local resources and markets would decline drastically in the 20th century. 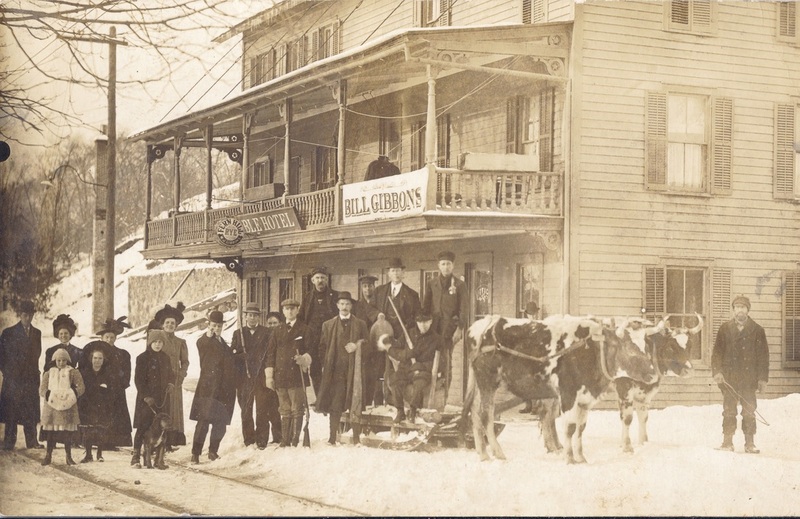 The Emerson holdings on the Schroon River - the sawmill and gristmill - were sold to members of the Pasco family and they endured past the mid-20th century; the woolen mill closed its doors before that. 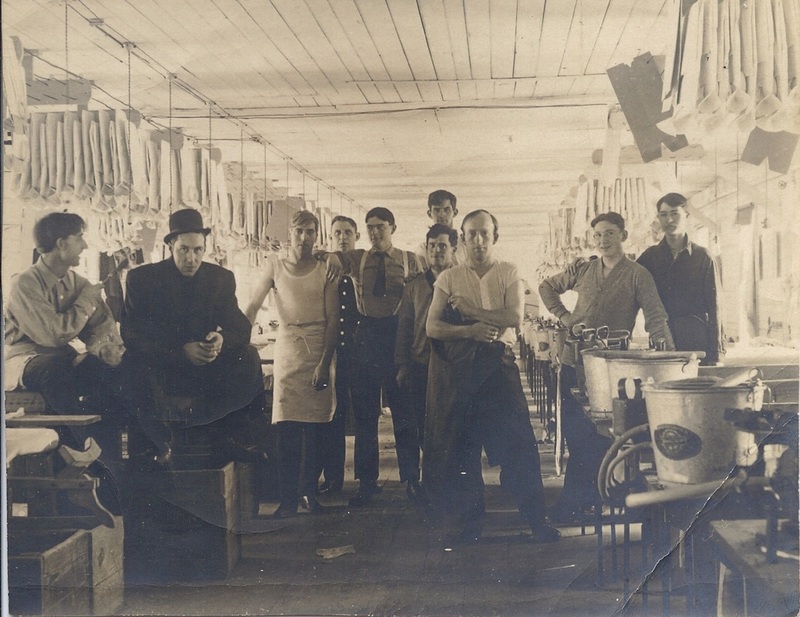 the shirt factory was acquired by the Troy Shirt Manufacturing Company of Glens Falls and afterwards, a dress manufacturing company. It morphed into an outlet "barn" and finally closed in the 1970s. On May 9, 1894 Warrensburgh officially lost its "h". The U. S. Post Office Department, following a recommendation by the U. S. Board of Geographic Names, ordered that names ending in "burgh" drop the "h" unless the community chose not to. Town records of the period were lost in a fire so it is not known if the town fathers of Warrensburg made a conscious decision or simply neglected to act on the issue. This writer puts forth the proposition that the business movers of the time looked to the future - the 20th century and all that it promised - and chose to be part of it. The future, however, was not as certain as those interests imagined. As previously stated sources of materials were being discovered elsewhere. Human resources were also found elsewhere, notably the deep South. (With one of the ironies of history, a half century later those human resources were located even further away, notably the Far East.) So the thousands of factory jobs for which Warrensburg was known disappeared. There were certain natural resources which could not be relocated however. The scenic beauty and the recreational opportunities inherent in the mountains, lakes and streams required the partaker to travel here. Always a hospitable town having numerous hotels and guest houses, Warrensburg now enjoys a reputation as a quiet, noncommercial location to visit and vacation. Tree-lined streets and historic homes reflect a prosperous past. A local history museum and abundant historic sites, including two that have been converted into fine restaurants, make Warrensburg an appealing location for individuals and families of all ages. Opportunities for outdoor recreation abound. The town maintains a public bathing beach at Echo Lake, hiking trails on Hackensack Mountain and a recreation field with tennis and basketball courts and softball diamond. Within the Town boundaries are additional hiking and XC trails, an 18-hole golf course and a downhill ski area. The Schroon and Hudson rivers provide rafting and tubing opportunities. Warrensburg's most famous "local hero," Floyd Bennett, was born in 1890. Using his innate aptitude for auto mechanics, he became an airplane mechanic and pilot in the U. S. Navy. Selected by then Commander Richard E. Byrd, Bennett became, in 1926, the first to pilot a plane to the North Pole, for which he and Commander Byrd became world famous, both receiving the nation's highest military award, the Medal of Honor, from President Calvin Coolidge. Tragically, Warrant Officer Floyd Bennett died of pneumonia while on a rescue mission in 1928. The world mourned. He was buried in Arlington National Cemetery. He is honored in Warrensburg with a memorial flagpole and an elegant elevated bandstand, erected in the former Pasko Park. This has become one of the iconic images of Warrensburg.